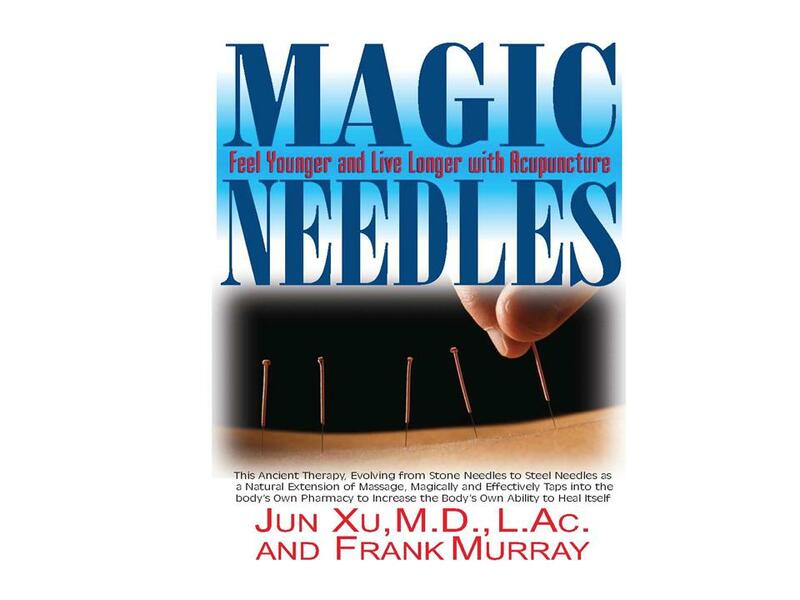 A new book, Magic Needles: Feel Younger and Live Longer with Acupuncture, brings both ancient Chinese medicine and Western medicine together and shows how acupuncture can be utilized to help treat dozens of conditions, pain, and illnesses. Author Jun Xu, M.D., LAc, is perfectly positioned to introduce Americans to the benefits of acupuncture and Chinese herbs. Dr. Xu, who left China in 1988, has unique credentials. As president of the American Traditional Chinese Medicine Society, he is the only physician in the state of Connecticut with three such medical certificates – and perhaps only one of 10 in the nation. He’s a licensed M.D. physician, a board certified rehabilitation medicine doctor, a board certified acupuncturist, and a board certified Chinese herbologist. He has integrated the best of both traditional Chinese medicine and Western medicine since opening his own clinic, Rehabilitation Medicine and Acupuncture Center, in Greenwich, CT, in 2000. He’s been practicing Chinese medicine since 1984. Acupuncture releases a natural energy that can alleviate even long-standing health conditions. Pain-free acupuncture is, therefore, an ideal treatment for asthma, bronchitis, depression, drug and alcohol addiction, headaches, smoking cessation, women’s health issues, and dozens of other conditions. An overview of how acupuncture helps treat others. How to select a qualified acupuncturist. Theories of traditional Chinese medicine, including the “Ying and Yang Theory”, “Five Elements Theory,” and “Meridian Theory” and “Energy Theory,” etc. Case histories and successful examples of patients treated for various conditions, from the common cold to diabetes, as well as insomnia, hearing loss, asthma, gastritis, chemotherapy symptoms, etc. Acupuncture can also make a person feel and look younger. In his clinic, Dr. Xu and his staff have performed many “facelifts.” But they don’t involve surgery or Botox. Instead, they use acupuncture and Chinese herbs to rejuvenate one’s face to help decrease or remove bags under eyes, wrinkles, double chins, and sagging skin. He reports that patients show evidence of the “facelift” by six or seven safe and inexpensive treatments, sometimes even after just three treatments. “If you can’t afford or don’t want the risks of surgery or Botox, using acupuncture to rejuvenate your face is a great alternative,” says Dr. Xu. Jun Xu, M.D., L.Ac. has integrated the best of both traditional Chinese medicine and Western medicine since opening his own clinic in 2000, Rehabilitation Medicine and Acupuncture Center in Greenwich, CT. Practicing Chinese medicine since 1984, Dr. Xu is the only physician in the state of Connecticut with three certificates: a licensed M.D. physician with board certified rehabilitation medicine, board certified acupuncturist, and board certified Chinese herbologist. A member of the American Medical Association, The Association of Chinese American Physicians, and the American Academy of Physical Medicine and Rehabilitation, he is also the president of American Traditional Chinese Medicine Society, where he served as vice president previously.. He is the author of a new book, Magic Needles: Feel Younger and Live Longer with Acupuncture (Basic Health Publications, June 2011). Dr. Xu is a medical doctor practicing in Greenwich, Connecticut, specializing in rehabilitative medicine and acupuncture in his private practice. He is also an attending physician and acupuncturist at Stamford Hospital, Connecticut. He works with patients to administer acupuncture treatments pre- and post-thoracic surgery, and also treats patients as a rehabilitation medicine physician in the hospital. 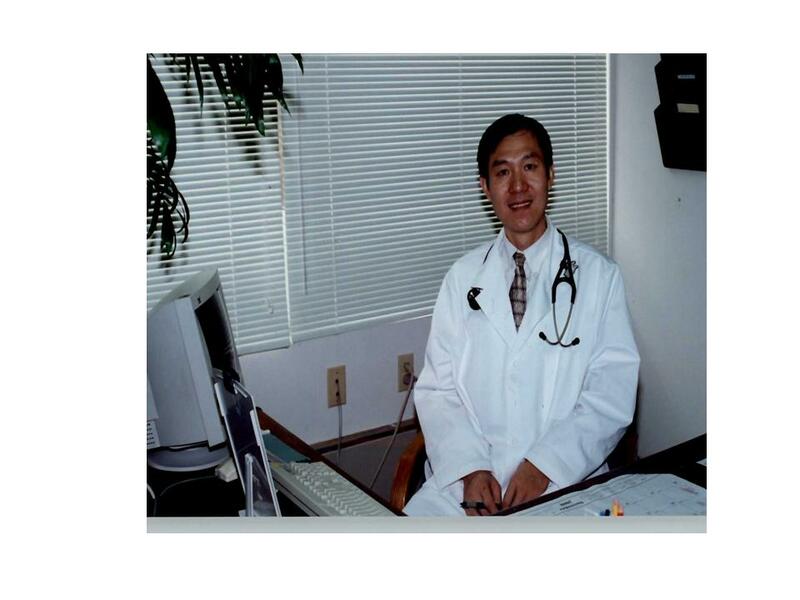 Dr. Xu studied at two traditional Chinese medical schools, Jiangxi College of Chinese Medicine and Guangzhou College of Chinese Medicine. He did his postgraduate study in Western medicine at both Albert Einstein College of Medicine in New York and the University of Georgia. He then graduated from New York Medical College in Valhalla, NY, with residency training in physical and rehabilitation medicine. He is certified by the American Board of Physical Medicine and Rehabilitation. He is a Diplomat in Acupuncture and Chinese Herbology, certified by NCCAOM, the National Commission for the Certification of Acupuncture and Oriental Medicine, and has acupuncture and medical licenses in several states. He has appeared on Good Morning America (ABC-TV) and was featured in the Greenwich Times. News 12 Connecticut also interviewed him. He has delivered lectures and been published in many medical journals. He was voted the best acupuncturist in Fairfield County by Fairfield County Weekly. His wife, Hong Su, L.A.C., is a licensed acupuncturist who trained with him in traditional Chinese medicine in China. They work together in Greenwich, CT at Rehabilitation Medicine and Acupuncture Center. They have two children and reside in Scarsdale, NY. Please see: www.drxuacupuncture.co. With your new book, Magic Needles, how do you reveal people can feel younger and live longer with acupuncture? Acupuncture is not only a technique but also an art and philosophy. Western medicine is a technique, it is not an art. Western physicians are thinking about evidence- based medicine;, they only think about their own field, such as internal medicine, neurology, GI, etc. Not many physicians put all the symptoms together and think of their patient as a whole person. For example, let’s say a woman has a fight with her husband. She might be very angry, depressed and lack sleep. In the mean time, she might also have a poor appetite, be constipated, feel achy and numbness and tingling sensation all over her body, headaches, joint pain, and her primary care physician might send her to see the following doctors: Psychiatrist for her depression, and other emotion issues; GI doctor to address her poor appetite and constipation; Neurologist to see her headache, numbness and tingling sensation; Pain management doctor to see her pain symptoms. All the above physicians only think about each individual field. There is no physician who would put all the above together and treat their patient as a whole person. However, Traditional Chinese Medicine (TCM) thinks of the patient as a whole person. An acupuncturist will treat the above patient with stress reduction, and, if it was in China, the physician might call the husband or her family to ask for help. If we could solve the original problem, the rest of the symptoms will be easily treated. Our body has the ability to heal itself. We do not need to put so many chemicals in our body. How does acupuncture work? There are about 400 acupuncture points and 14 meridians in the human body. The energy (Qi) circulates in the meridians. If anything happens, the energy will be blocked in certain points of the meridians. Acupuncture needles will be put into the points to try to unblock the blockage and make the energy circulate. What type of illnesses or chronic conditions can acupuncture help heal? Acupuncture can treat many internal illnesses, such as coughing, allergies, bronchitis, headaches, and many forms of pain, such as osteoarthritis, neck, lower back, shoulder, elbow, wrist, hip, knee, ankle, feet pain, etc. How should one go about selecting an acupuncturist? The person must be board certified, i.e. NCCAOM certified. It is better to have training in China. The standard training in China is for five years after high school, then post graduate school training is optional. I had five year basic training and three years advanced training, total eight years of training in China. However, in the US, people only have three years of training after having graduated from college. Plus there is a language barrier: US students only learn in English, but the Chinese medical literature is written in the old Chinese language. It is hard to understand even if you are a Chinese-speaking native. Which type of medicine should we utilize – Chinese or Western? Or a little of both? Chinese medicine is a philosophy and art, however, Western medicine is a practical tool. We need a philosophy and art to guide the treatment. We cannot miss the tool. We need our own energy to heal, however, we also need some chemicals to help heal us. Use acupuncture to control appetite. Diet control: Chinese medicine has a unique way to control diet. Chinese herbs: we also use herbs to increase metabolism and bowel movement. Exercise: Chinese medicine will teach and encourage all patients to exercise. Is acupuncture becoming more popular in the U.S.? What will it take for the country to adopt it on a wide scale? Yes, about one in eight Americans have had experience with Chinese medicine, according to many studies. As people seek cost-effective ways to prevent or treat various conditions, pain or disease, they will eventually seek acupuncture. I hope more physicians recommend it and that more insurance companies make it available for both prevention and treatment. You are only one of perhaps a dozen people in the United Sates who is a licensed acupuncturist, who also holds an acupuncture certificate from training in China, and who is a licensed physician that is American Board Certified in Physical Medicine and Rehabilitation. Why are there so few such practitioners? I was trained in China for eight years of Chinese medicine and four years training in the US for physical medicine and rehabilitation. In the US, if you had training in China for eight years with Chinese medicine, it usually means you may not have enough training in Western medicine. You will have difficulty passing the US Medical Licensure Examination. That is why most of graduates from Chinese medicine colleges could not pass the USMLE. Only a few graduates from China passed the examination in the US, and in the meantime were accepted into US hospitals to receive residency training. The passing rate for foreign medical school graduates is very low and the acceptance rate to be residents in US hospitals is very low, about 1 to 500 or 600 ratio. That is why there are so few physicians like me in US. How is acupuncture used for pain management? The most common use in the US for acupuncture is for pain management. Based on many studies from Harvard Medical School, UMDNJ, etc. acupuncture can increase endorphin secretion from the brain, therefore, makes patients feel less pain. Acupuncture also can increase local area blood supply and circulation to wash away local inflammation, such as shoulder, or elbow inflammation. Can acupuncture be used as a preventative treatment and not just as a cure or pain-reliever? Yes, like I mentioned before, acupuncture may be used for a tune-up, i.e. to adjust the harmony of the entire body to prevent many illnesses from developing. Who is the best or worst candidate for using acupuncture? Why? Most people are good candidates, because acupuncture can help or cure many diseases. Acupuncture, though, has its limitation, such as, acupuncture cannot treat cancer. However, acupuncture can help relieve the side effects of chemo/radiation therapy for cancer patients. Why don’t more insurance companies make acupuncture treatment available to its client base? They claim that there is not enough research evidence to support the payment for the treatment. This is because our government does not give out enough money to support the research. For example, they only give out $5 million per year for all US research facilities. No money, no research evidence. NIH and FDA will not endorse acupuncture as an effective medical treatment. That is why insurance firms won’t pay. For Americans who do not like to take chemicals for their side effects and do not want surgery, they prefer acupuncture treatment, because it has no side effects and it is very safe. What are the common concerns, or fears that people have about acupuncture and how do you address them? Most people fear the pain that they think acupuncture will create. Actually, acupuncture usually causes minimal pain. Usually the pain is equivalent to being less than a mosquito bite. After I explain this to patients, they all agree to try it, and after they tried it, most of them will tell their friends or family members there is no pain from acupuncture. As the president of the American Traditional Chinese Medicine Society, what do you feel can be done to better inform people of the benefits of acupuncture? We have many seminars to educate our members. But it is not enough. We will have more work to do, such as legislation, education, etc. to let Americans know about acupuncture. You say that acupuncture can help stroke victims, infertile couples, and diabetics. How so? Stroke: As we all know, Western rehabilitation medicine rehabilitates the patient’s limb. However, the problem is in the brain. So far, American medicine does not know how to rehab the brain. However, acupuncture can help by inserting the needles to stimulate the skull and the limbs. Combined with traditional American rehabilitation medicine, the patient will recover faster. The above is common sense, however, most of American rehab physicians do not realize it. Infertility: Acupuncture can improve people’s hormone harmony, and make people relax. If the patient does not have any organic diseases, acupuncture will increase the fertility rate from 29% to 49%. Now it is a gold standard practiced in the US for all the infertile patients, who do not have organic disease, to use acupuncture. Diabetes: Acupuncture can improve beta cell secretion of insulin. How do you help athletes heal faster from surgery or sports injuries? Acupuncture can decrease swelling, improve blood supply, and facilitate energy movement. Therefore, acupuncture can speed up the athletes’ recovery. You practice “facial rejuvenation” acupuncture. What’s that? Acupuncture can increase the synthesis of collagen, which will refill the wrinkles in the face naturally. Therefore, the face will rejuvenate. What roles do Chinese herbs play in one’s approach to good health? Chinese herbs are used to treat different diseases. Many Chinese herbs are confirmed to be very useful by recent research. Like acupuncture, Chinese herbs have been used in China for thousands of years. Based on Ying and Yang theory, Chinese herbs can be classified as two basic categories, Ying herbs and Yang herbs. There are thousands of herb formulas, i.e. put some herbs together to treat a specific illness. All the herbs can be used to adjust and guide the harmony of human being’s energy, prevent and treat many diseases. In China, the main stream of traditional Chinese medicine is actually Chinese herbs. Acupuncture is only one of the many branches in traditional Chinese medicine. There are so many herbs to choose from. How does one know which ones to take? By looking, smelling, inquiring and feeling the pulse, based on Chinese medicine theory, a TCM doctor can choose the herbs to use. As I mentioned above, there are thousands of formulas in the text book of traditional Chinese medicine, you may choose according to the indications and patient’s illness. How is acupuncture used to relieve mental stress? It relaxes the patients and increases endorphin secretion. It adjusts the hormone harmony. to relieve mental stress. Acupuncture is a method of encouraging the body to promote natural healing, by inserting needles into very precise points within meridians (energy channels in the body). The acupuncture needles can trigger the release of chemicals and hormones, leading to improved immune and energy function. Some studies suggest a release of endorphins occur and this makes the patient feel better, as a result of acupuncture. Inserting needles can trigger another immune response, which may alter the balance between the sympathetic and parasympathetic nervous systems. Acupuncture needles are very thin. The point is smooth (not hollow with cutting edges like hypodermic needles). Most patients feel minimal pain as the needles are inserted; some feel no pain at all. I have treated many ailments with acupuncture, including: acute and chronic pain, fibromyalgia, athletic injuries, arthritis, neck and low-back pain, bursitis, tendonitis, pinched nerves, sciatica, sinusitis, allergies, headaches, carpal tunnel syndrome, stroke, stress, obesity, fatigue, IBS, PMS, and many others. Acupuncture is performed on various parts of the body including the back, ear, and skull. Electrical acupuncture, cupping, acupressure, and other techniques are used for a number of different reasons, including but not limited to, detoxification and amelioration and treatment of symptoms. There are about 400 acupuncture points found along 14 major meridians within the body. The needles act upon Qi, the vital energy that circulates through these major meridians and numerous other tiny meridians in the body. Acupuncture is one of the most important therapeutic tools in traditional Chinese medicine. There is a system of balance between our universal and human bodies, called yin and yang balance. Yin represents the feminine, night, winter, weak, dark – and yang represents the masculine, day, summer, strong, light, etc. Our bodies adjust this balance according to the changes in nature. For instance, when the sun rises in the morning, the yang in the body increases in order to provide essential energy needed to perform daily activities, and when evening comes, the body’s yin increases to accommodate that time of day. Acupuncture works well on its own and in conjunction with Western medicine it can help heal many, many conditions. The Journal of the American Medical Association reported, based on a 1998 Survey of American adults, about 12% take Chinese herbs. The World Health Organization, in 2002, stated acupuncture was confirmed to be effective for treating 28 diseases. Further, acupuncture was shown to be effective in treating 63 other diseases but more research was required. According to National Commission for Acupuncture and Oriental Medicine (NCCAOM), a survey estimated over 30 million Americans have tried acupuncture. There are about 15,000 licensed acupuncturists in the United States. The therapeutic tools of Traditional Chinese Medicine include acupuncture, herbs, massage, moxa (a method for burning moxa to transfer energy from the burning herb to human body), qi gong (an energy/breathing exercise), and many others. Acupuncture needles can be inserted into any of the 400 specific points in the body to open the blockage and help the body balance its yin and yang, thereby treating and healing the illness. The American Academy of Medical Acupuncture was founded in 1987 by a group of physicians who graduated from the Medical Acupuncture for Physicians training program sponsored by the School of Medicine at UCLA. The AAMA is the sole physician-only, professional acupuncture society in North America. Can’t afford the expensive cost of a facelift? Don’t want t to go through a surgical procedure? Looking to avoid Botox injections? How about undergoing Facial Rejuvenation Acupuncture, a holistic approach to health and beauty that focuses on both the internal and external self? Dr. Jun Xu, a licensed medical doctor and Chinese acupuncturist, says Facial Rejuvenation Acupuncture helps to improve muscle tone, dermal contraction and collagen production. It also minimizes double chins, reduces facial sagging, reduces or eliminates bags under the eyes, puffiness, and fine lines of the face, and reduces large wrinkles. “Acupuncture is not a replacement for surgical facelift or Botox injection, and will not provide an overnight solution, as the improvement is subtle and occurs over time,” says Dr. Xu, the author of a new book, Magic Needles: Feel Younger and Live longer with Acupuncture. Depending on numerous factors, including the patient’s age, lifestyle, health, and extent of skin damage, results can be seen after two to three treatments and visible, lasting results may be seen after six or seven treatments. Dr. Xu believes the change is not solely external, that the body is healed within and creates a glowing exterior that allows the patient to be relaxed and stress-free. So just how does it work? The goals of regenerative acupuncture are: improvement of lymph and fluid flow, reduction of swelling, improved metabolism, and the addition of elasticity to facial skin and muscles. Sterilized and disposable hair-thin needles are inserted into the meridians of the face and distinct extremity points, such as the hands and legs. The needles may or may not be connected to an electrical stimulation machine. The selection of acupuncture points and electrical stimulation depends on one’s composition, body type, color of tongue, and pulse rate. “The procedure brings about an amazing change in the person,” concludes Dr. Xu. –Xin-Nong Li, MD, (ACP, Associate Clinical Professor of Medicine, School of Medicine, University of California, Davis.